Welcome to issues in prison-based gerrymandering, a podcast about keeping the Census Bureau’s prison count from harming our democracy. The Census Bureau counts people in prison as if they were actual residents of their prison cells, even though most state laws say that people in prison are residents of their homes. When prison counts are used to pad legislative districts, the weight of a vote starts to differ. If you live next to a large prison, your vote is worth more than one cast in a district without prisons. Prison-based gerrymandering distorts state legislative districts and has been known to create county legislative districts that contain more prisoners than voters. On each episode, we’ll talk with different voting rights experts about ways in which state and local governments can change the census and avoid prison-based gerrymandering. Thank you for joining us, Dale. I was hoping you could introduce yourself and tell us about what you do at the NAACP Legal Defense Fund and why the LDF is interested in addressing prison-based gerrymandering. Thanks a lot, Peter. My name’s Dale Ho, and I’m assistant counsel in the political participation group at the NAACP Legal Defense Fund. My work focuses on voting rights and election law, and we’re interested in the prison-based gerrymandering issue for a number of reasons. First, and I think the most basic, reason is prison-based gerrymandering violates the fundamental principle of one person, one vote, the basic principle of political equality that everyone’s vote is supposed to be counted equally. But as we all know, because of prison-based gerrymandering, your vote and my vote doesn’t count as much as the vote of someone who lives in an election district that hosts a prison because the prison population is used to artificially inflate the population count and thus the political influence of those districts. So it’s an issue that really affects everyone. I want to make that very, very clear because sometimes when the Legal Defense Fund talks about this issue, people think, once we walk into the room, oh this is a minority issue. This is an issue that just deals with communities of color. But I really want to make clear that this is an issue that affects everyone. 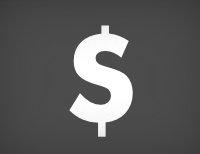 It affects people regardless of race, and it affects people regardless of geographic region. 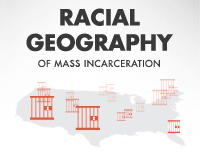 Now, all that being said, prison-based gerrymandering does have particularly harsh effects on communities of color, and I think the reason for that is that incarcerated populations are disproportionately people of color. So, take New York State, for an example. In New York State, 30% of the overall population is African American and Latino. But 77%, so, more than two-and-a-half times that rate, of the prison population is African American and Latino, and what prison-based gerrymandering does in New York State is, because the incarcerated population is so overwhelmingly people of color, it basically has the effect of unfairly transferring political power from communities of color to other regions of the state. Wow, so what kind of progress we have seen on prison-based gerrymandering? And I understand that the LDF recently has a new publication about this. That’s right. We published a report that came out on June 1st of this year, entitled, “Captive Constituents: Prison-Based Gerrymandering and the Distortion of Our Democracy.” The report basically lays out some of the facts that I’ve been describing. Really, to understand the importance of this issue and what a significant effect it has on our democracy is you have to contextualize it within the phenomenon of mass incarceration that we’ve seen over the past 40 or 50 years in this country. So, in the 1970s, again, I’ll use New York State as an example, there were about 10,000 incarcerated people in New York State. By the year 2000, that number had reached over 70,000. It’s a little lower today, but it’s still significantly larger than it was 40 years ago. That mirrors trends nationally. Nationally, in the 1970s, we had a few hundred thousand people incarcerated. Now we have over two million people incarcerated. We have 5% of the world’s population but we have 25% of the world’s prisoners. If you took the incarcerated population in the country and put them in one place, their population would be equal to our three smallest states combined, and if you use 2000 figures, they would have five votes in the electoral college. So I think it’s plain to see that where these populations are counted has tremendous, tremendous effects on the shape of our democracy and the distribution of political power and as I mentioned, because the incarcerated population is so disproportionately comprised of people of color, prison-based gerrymandering, by counting people in districts that are far from their homes, typically, really dilutes the voting strength of communities of color. From our perspective, we have a problem of not only of the one person, one vote principle under the United States Constitution, but we also potentially have a problem with Section 2 of the Voting Rights Act, which provides that minority voters are to have an equal opportunity to elect candidates of their choice. Well, if so many residents of minority communities and so many people of color are being counted to inflate the political power of other districts, I think it’s hard to say that there’s not some dilution of the voting power of communities of color in a way that really runs counter to the spirit and purpose of the Voting Rights Act. So we want to see an end to prison-based gerrymandering, but what is it that we want people to do to make that happen? What are your thoughts and the LDF’s thoughts about what we should be doing? Well, I think that the efforts that people have been engaging in to push for legislative reform at the state level are a good place to start. We published this report because we wanted to educate community groups and community leaders and legislators about this issue. I think a lot of people sort of don’t really understand the basics of the issue. So when we start talking to people, we get all kinds of questions. We get questions like, why are we counting incarcerated people at all when we draw election districts. Incarcerated people can’t vote. That’s generally true, but it’s not universally true. In Maine and Vermont, all incarcerated people can vote. And even in many other states, people who are incarcerated stay at a jail instead of at a state prison often have the opportunity to vote as well. But really, that’s sort of beside the point. Whether or not someone can vote is irrelevant to whether or not they’re counted. In the redistricting process, there are all kinds of populations that can’t or don’t vote. Minors, for instance, count. Non-citizens, so people who are residents of the country legally but aren’t citizens yet. Even people who are undocumented count in the redistricting process. The United States Constitution provides that the census is supposed to count all inhabitants of the United States and political power is apportioned on the basis of the number of inhabitants. Whether or not people can vote doesn’t matter, whether or not they’re counted. But really the question is, where should people be counted? And most states, just about every state has either a constitutional provision or a statute that provides that a person doesn’t lose their legal residence by virtue of being incarcerated. So if you’re an incarcerated person, you remain a legal resident of the place that you lived prior to your arrest. So it only makes sense, if that’s where you’re a legal resident, for you to be counted there. And that rule sort of comports with our basic common sense understanding of where people have ties, where people can consider themselves constituents. An incarcerated person isn’t held at a particular county or facility or district by choice. They can be moved at any time by the Department of Corrections. They obviously have no opportunity to integrate themselves into the surrounding community or participate in civic life there or use services there. So, it doesn’t really make sense to think of them as constituents there. It makes more sense to think of them as constituents at their home addresses, where they do have ties. Now that raises another question that I think that we get sometimes, which is, but don’t incarcerated people have an effect on the communities where they’re held? Don’t the communities where the prisons and jails are located need resources to account for the fact that they have large numbers of incarcerated people living there? That’s certainly true, but what we’re asking is not for there to be a change to any of that distribution of resources. Communities that host prisons and jails need resources to accommodate those prisons and jails and we understand that and are supportive of that. The only question that we have is why should those communities get a boost in terms of their political representation, by virtue of housing the prison or jail. Our view is that obviously, they shouldn’t. And so, where does the problem originate? Is this a problem that starts with the Census Bureau with the counting? Is this a problem that starts with the redistricting committees and what’s our best entry point to fix this? Well, I think the easiest way to fix it for the entire country would be for the Census Bureau to change its practice of counting incarcerated people where they’re held. That would be a one-step solution to solve this problem nationwide. It’s obviously too late to do that for the 2010 Census. So if we do nothing about it at this point, we’re stuck with the current count that we have for the next ten years, which is going to result in skewed election districts throughout the entire country for the next decade. So, that we find unacceptable, but the redistricting process hasn’t started yet. So every body that is in charge of redistricting, whether it’s a state legislature or a state’s redistricting commission or even at the local level, a county government, say, has the opportunity to not count incarcerated people as residents of the places where they’re held. The one thing the Census Bureau did do is it agreed to release data on prison populations in time for redistricting authorities to take that information into account when they draw election districts starting next year. So there’s really an opportunity here, a unique opportunity, I think, for districts to get this right, to not engage in prison-based gerrymandering and to really decide whether or not they’re committed the principle of one person, one vote and that all people should have an equal say in the political process. So what specifically, then, besides your educational publication that you just did is the Legal Defense Fund doing on this issue, and how can people contact you? Well, we have been reaching out to legislators where bills have been proposed or even just sort of considered to try to get them to understand the issue and to support their efforts in passing legislation to correct prison-based gerrymandering. We’re working with a coalition of groups to go on the state level and on the national level so groups, obviously, like yours, Peter, but also Demos and the Brennan Center for Justice. So I think a broad base of groups who are working on this issue and who all have resources and information to help both county governments and state governments sort these issues out and figure out how they can end the practice of prison-based gerrymandering in their jurisdictions. People can get in touch with us via our website, www.naacpldf.org, or just by calling us, 212-965-2200. If they have questions about prison-based gerrymandering and how it affects the distribution of democracy in their communities, we’d be happy to help. Thank you very much, Dale. This has been incredibly informative. Would you be interested in coming back to talk in more detail about what states and redistricting committees can do? All right, looking forward to it. Thanks, Dale. Dale’s optimism in this interview was well founded. Shortly after this interview was recorded in early June, the legislation in Delaware and New York to end prison-based gerrymandering became law. These two states have joined Maryland in ending prison-based gerrymandering within their borders. In the months ahead, we’ll be helping other states follow suit. In this podcast, Peter Wagner speaks with the Minnesota Second Chance Coalition about their campaign to end prison-based gerrymandering in that state. 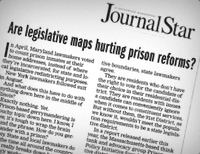 Peter Wagner speaks with Cindy Boersma of the ACLU about Maryland’s new law to count incarcerated people at their home addresses for redistricting purposes. Interview with Common Cause Oregon on a creative solution to the problem that some rural districts are unwieldy to represent.